Monday Laine took his Toms bag with his savings and went into a music store to make his first official instrument purchase. 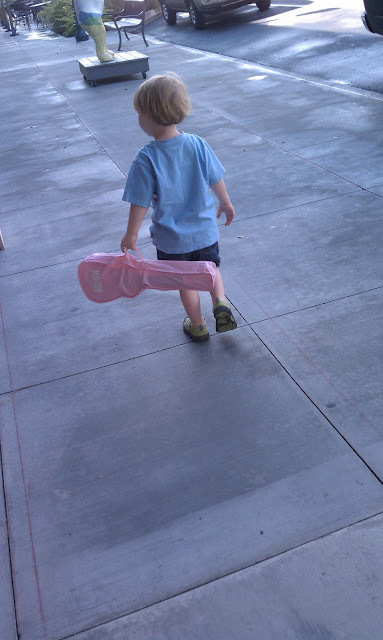 In July he began asking me to make him a pink guitar. Side note: be careful with the crafting and such...they will not believe you can make a jacket and not a guitar. I offered to make him a pink bag and we made a new strap together. I was feeling very inspired as we fastened his new Thomas strap to his old guitar. I was proud of having come up with a workable solution. 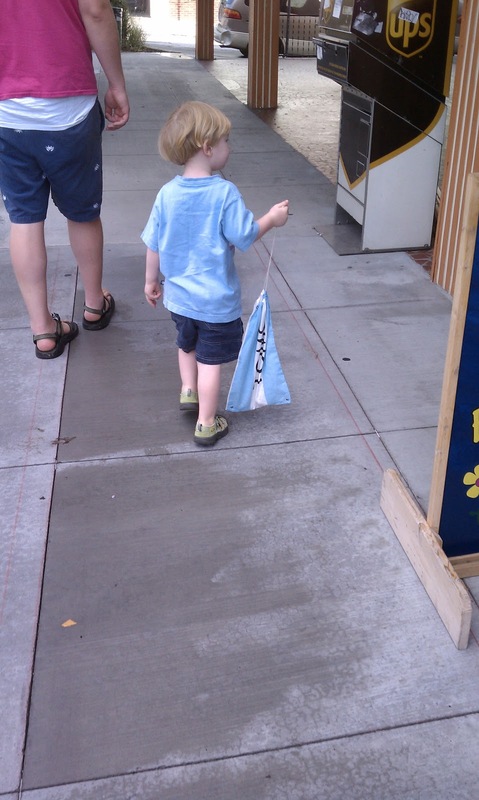 It pacified him for about a minute and a half. 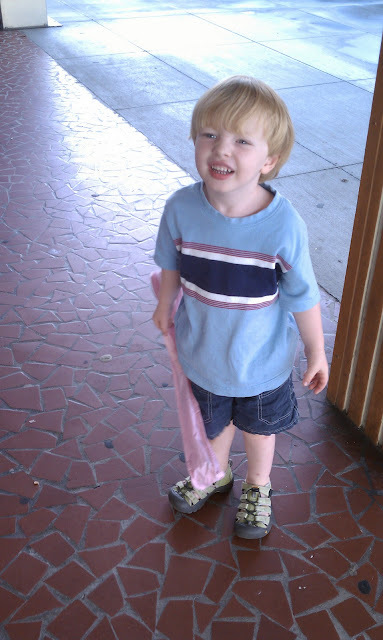 What he really wanted was a PINK GUITAR. After several days of begging, he seemed to forget about it. Meanwhile, Luke and I began reading and studying some of Dave Ramsey's books. We are trying to enable ourselves to capture a dream. Our plans begin with being debt free. I am super proud to say that even though he could have just waited on birthday money, he made $5.00 all by himself. Only problem is that he has started noticing when my baseboards look dirty AND when other people's baseboards look dirty. He is so proud of his accomplishment. He keeps telling me that he took his money and bought a pink guitar. He is also shockingly generous with it. He hands it off to Annabel regularly. He told me yesterday that she needs a yellow one. Sigh!